The Shelvia Table Lamp is the perfect casual, chic piece you've been missing in your space. Features of this remarkable piece include a textured ceramic base, a shaded oval drum shade, and a relaxed elegance. 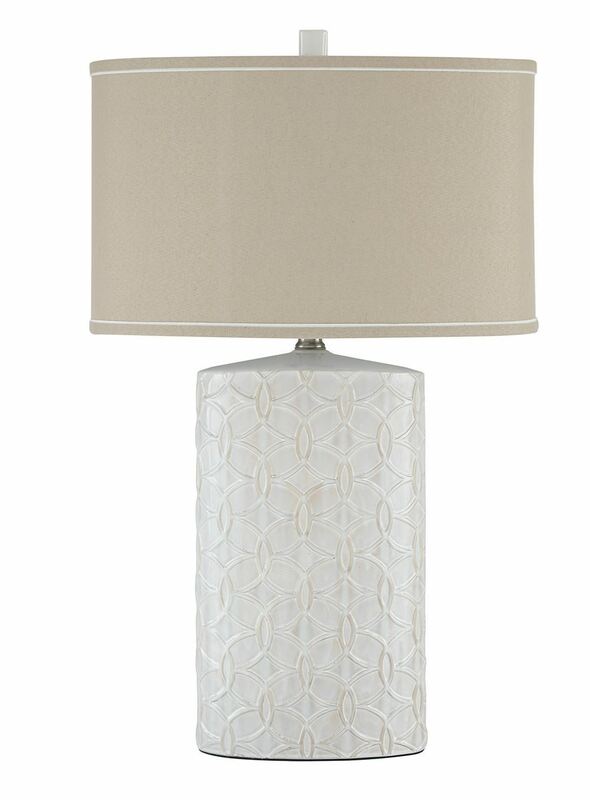 The Shelvia Table Lamp is the perfect casual, chic piece you've been missing in your space.